PREMIER Evolution Aqua’s Premier pellets have been specially designed to enhance your Koi’s overall development, help with their growth and develop richer colours. Premier pellets form a high protein, well balanced floating diet, formulated from high quality ingredients. 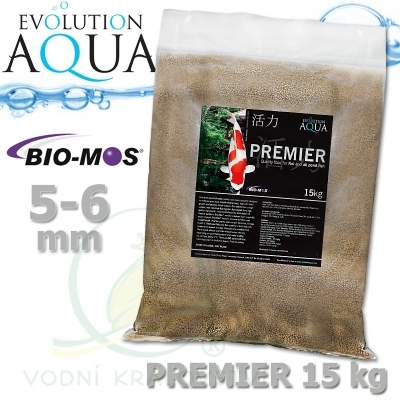 Incorporated into the formulation of Premier pellets is Bio-Mos®, which is derived from a specific strain of yeast. Bio-Mos® helps to improve nutrition and overall health. 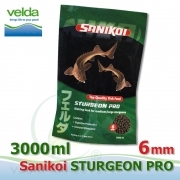 Premier pellets also contain Spirulina, Omega 6 and 3. 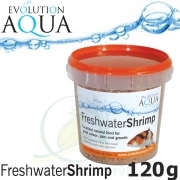 There are NO added artificial colourings used in Evolution Aqua’s Premier pellets. 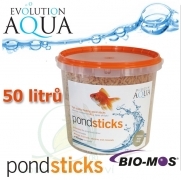 Evolution Aqua’s Premier is available in four sizes 800g, 2kg, 6kg, and 15kg, all in 2 pellet sizes; 3-4mm (small) and 5-6mm (medium). INGREDIENTS Composition: Soya, Fish Meal, Maize, White Rice, Maize Gluten, Salmon Oil, Wheat Germ, Spirulina (min. 2.3%), Minerals, Vitamins, Bio-Mos® Analytical Constituents: Crude Protein 37%, Crude Oils & Fats 7%, Crude Fibres 3%, Crude Ash 7.50%, Omega 6 2%, Omega 3 1.2% Additives: Vitamins: Vitamin A 18,056 IU/kg, Vitamin D3 2,708 IU/kg, Vitamin C ( as ascorbyl monophosphate) 1,29 6 mg/kg, Vitamin E (as alpha-tocopherol acetate) 259 mg/kg; Trace Elements: Ferrous Sulphate Monohydrate 201 mg/kg (Iron 60 mg/kg), Zinc Sulphate Monohydrate 167 mg/kg (Zinc 60 mg/kg), Manganous Sulphate Monohydrate 132 mg/kg (Manganese 42 mg/kg), Cupric Sulphate Pentahydrate 72 mg /kg (Copper 18 mg/kg), Calcium Iodate 1.97 mg/kg (Iodine 1.20 mg/kg), Sodium Selenite 0.80 mg/kg (Selenium 0.36 mg/kg) Manufacturer’s Number: GB193E1446 STORE IN A COOL, DRY PLACE Formulated with Bio-Mos® FEEDING INSTRUCTIONS Feed your fish only the quantity of food they will consume in several minutes. Remove any uneaten food. The amount of food your fish will consume will vary depending on pond temperature and water quality. Do not feed below 7oC.